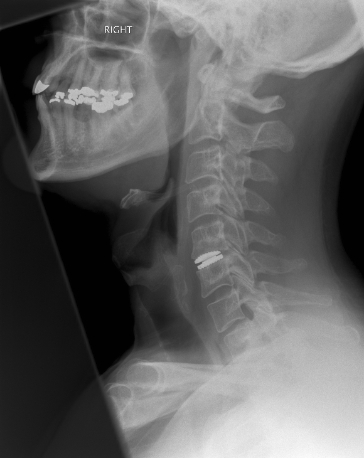 Traditionally the standard treatment for prolapsed discs in the neck (prolapsed cervical discs) was to remove them from the front of the neck (an anterior approach) and then to fuse the two adjacent vertebrae together, usually with a piece of bone from the top of the pelvis or, more recently, with a variety of other substances and devices (metal/plastic cages, polymer grafts etc). 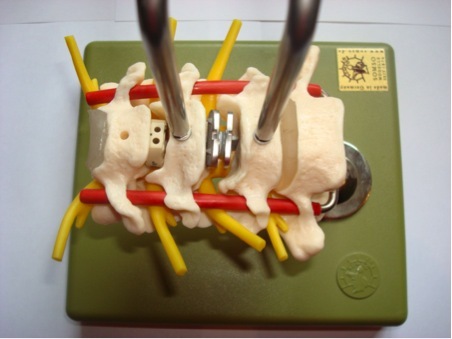 This operation deals very effectively with the disc which is compressing the nerve roots or cord but the fusion of the two vertebrae inevitably means that there is some loss of movement in the cervical spine (the neck). If only a single level is fused then this small loss of movement is often not noticed by the patient, although if 2 levels are fused the loss of mobility is noticeable. The fused, immobile segment does however put more strain on the adjacent mobile levels leading to these discs wearing out faster than they otherwise would. 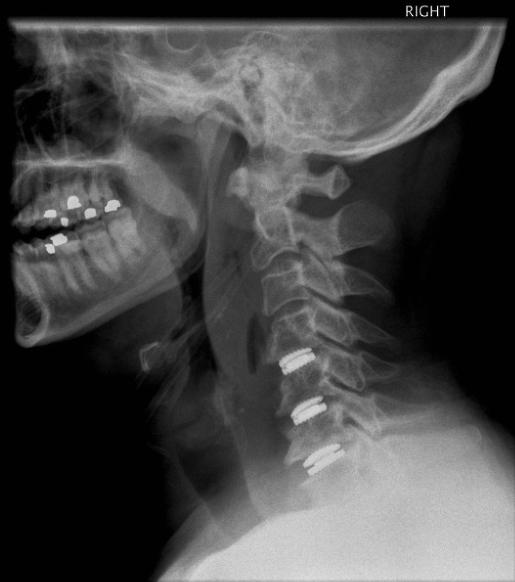 As a consequence, a number of patients who have undergone cervical fusion operations re-present some years later with more symptoms due to a new disc prolapsed in one of the adjacent discs. This phenomenon is known as ‘Adjacent Segment Disease’ and may occur at a rate of approximately 3-5% per annum after a fusion operation. 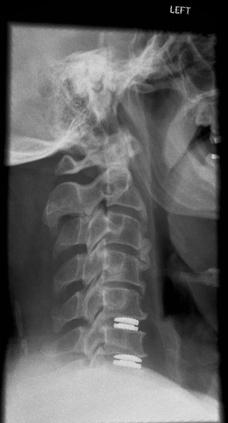 In order to try and eliminate or reduce this incidence of adjacent segment disease, as well as to provide a better solution for those patients who need more than one disc removing in the first instance a number of mobile artificial discs (cervical arthroplasties) have been developed by a number of manufacturers. 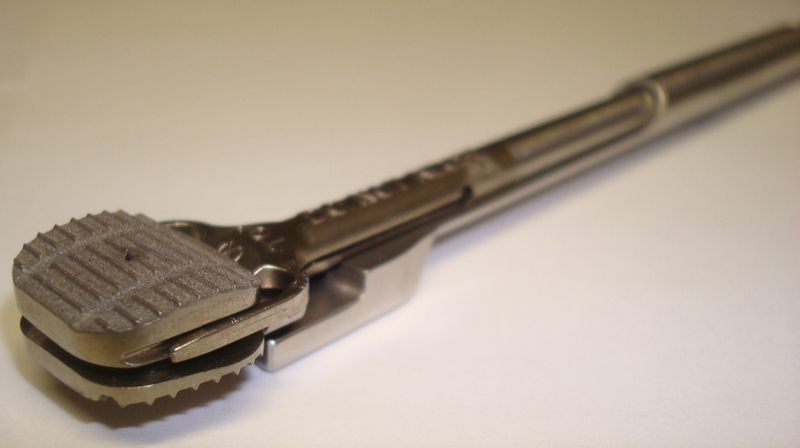 These have been around for approximately a decade and have been used in the United Kingdom in increasing numbers over the last 5 years. These devices have been approved by the National Institute for Clinical Excellence (NICE) and are inserted in a number of specially credentialed centres. Queens Medical Centre Department of Neurosurgery has been using the Discocerv prosthesis for 5 years now and we have experience of over 100 implantations. As a consequence of this experience we are one of a number of Surgical Reference Centres across Europe for teaching this procedure and we also run a hands on surgical training course for senior trainee and consultant surgeons from both the UK and abroad. All our arthroplasty patients are followed up long term with both questionnaires and X-rays to assess the clinical outcome and find out the long term amount of movement in these discs. (add single pie chart of outcomes from Sandeeps presentation). 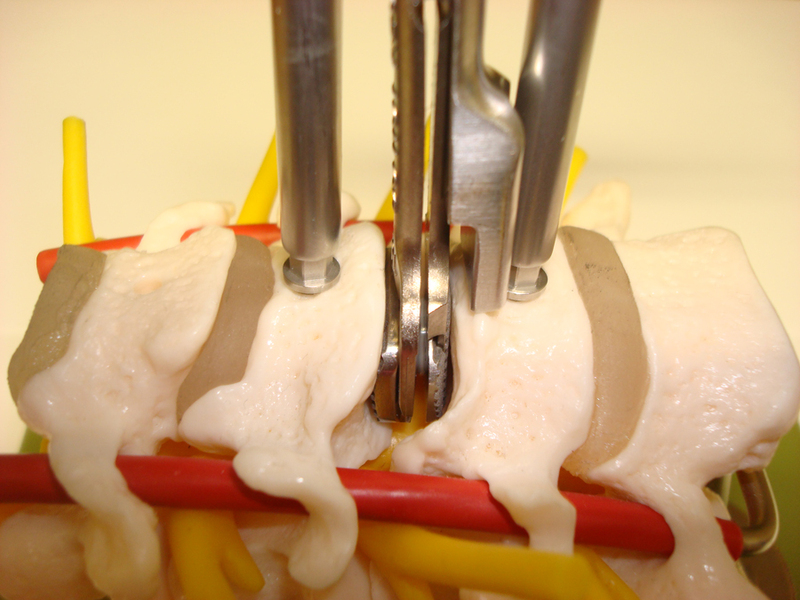 With the experience gained from our teaching course a teaching model has been developed to demonstrate and practice the surgical technique of arthroplasty insertion. 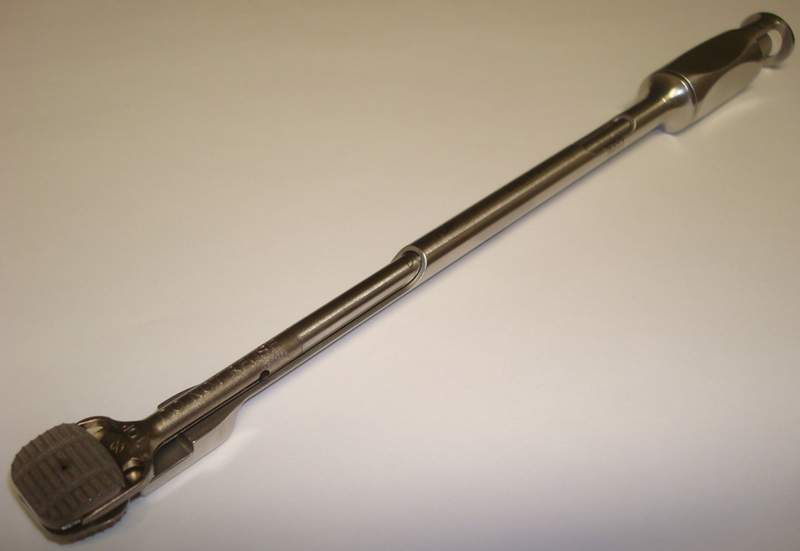 With the experience gained of this procedure Mr Ashpole has designed and developed a complete new set of surgical instruments to facilitate the safer and more accurate implantation of these Discocerv arthroplasties in conjunction with Scient’x/Alphatec. The term hydrocephalus comes from the Greek and literally means ‘water-brain’. It is not a specific disease but really a descriptive term encompassing a whole variety of conditions which, broadly speaking, cause either an accumulation of the normal fluid within the brain (cerebrospinal fluid), and/or result in an increase in the pressure within that fluid.